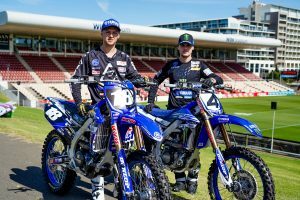 German talent regains 450SX points lead for the second time this season. 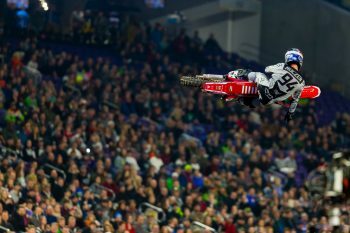 Ken Roczen has expressed his desire to win his still there despite going winless six rounds into the 2019 Monster Energy AMA Supercross Championship. After injuries cut short his last two supercross campaigns, the Team Honda HRC talent has been taking a measured approach to his 2019 assault that has ultimately resulted in earning the red-plate on two occasions. 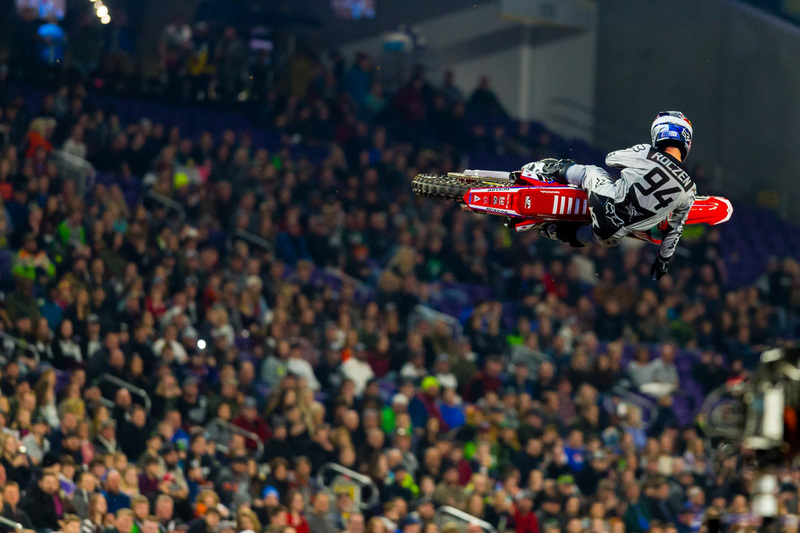 Despite feeling like Saturday’s encounter at Minneapolis was a missed opportunity, Roczen fought his way to second behind three-time main event winner Cooper Webb (Red Bull KTM Factory Racing). “I had a little wheelie on the start, and I came around in third,” Roczen explained. “I was just in third forever because it’s just really hard to pass out there – it gets rutty and we’re all kind of taking similar lines. I felt really good, but I couldn’t ever make the pass happen, and once Cooper [Webb] got by Joey [Savatgy], he gapped us. “I wish I would’ve had a clear lap earlier because I feel like I could’ve done a charge toward the end, but with these turns and the intensity we brought, I didn’t want to just do a silly, aggressive move and bump up on the inside. 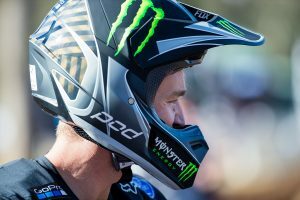 The German ace leads Webb by one marker, while Eli Tomac (Monster Energy Kawasaki) and Marvin Musquin (Red Bull KTM Factory Racing) are tied for third on 123 points.